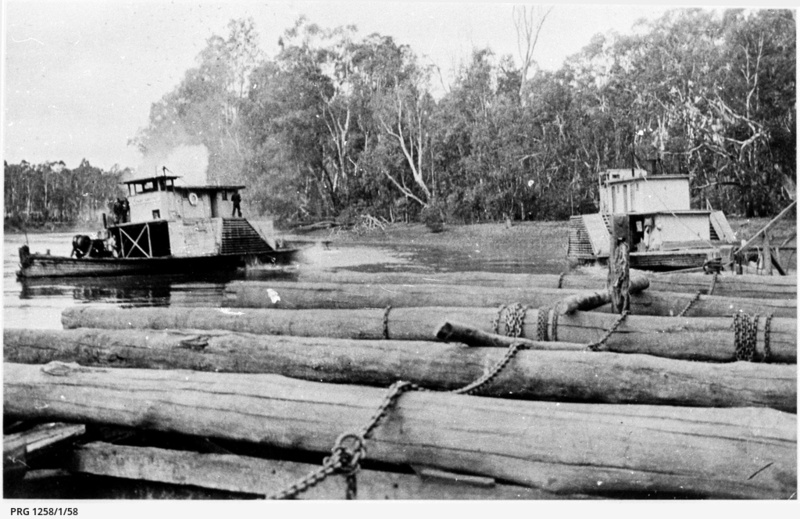 The 'Alexander Arbuthnot' towing logs to Koondrook sawmills. Composite paddle steamer. Registered Melbourne 1924. Built at Koondrook in 1923 by C. Felshaw; 76'0" x 15'2" x 4'5"; GT46, NT15, HP4. Sank at Yeelana Station in 1944. (Godson UU/5).